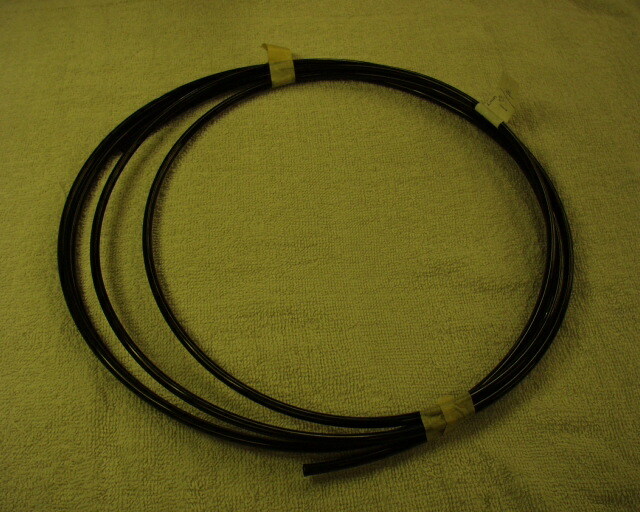 Metric high pressure air tubing -- Replacement air line for your EAS (Electronic Air Suspension) repairs or modifications. For newer Range Rover and LR3 / LR4 this size is common, and for Range Rover 1993 to 2002, this is the 6mm OD size air hose which runs to the air springs and a few other of the runs. This air tube can be formed using a hair drier but comes "straight". Use our FW51 couplers to splice pieces of the 6mm air pipe together. Price is per foot: your order quantity is the number of feet you need (5 foot minimum). Outside diameter is 6mm, color is black. Item is cut-length and cannot be returned.